So far AIR admin has created 19 blog entries. This AIR Time podcast was recorded on September 17, 2014 and features sound engineer Tim O'Heir. This AIR Time podcast was recorded on April 23, 2014 and features oboist and dog advocate Erin Hannigan. This AIR Time podcast was recorded on February 19, 2014 and features bonsai specialists Howard and Sylvia Smith. This AIR Time podcast was recorded on November 20, 2013 and features actor Alan Ackles. This AIR Time podcast was recorded on October 23, 2013 and features Community Beer Company's founder Kevin Carr and head brewmaster Jamie Fulton. This AIR Time podcast was recorded on September 18, 2013 and features percussionist Roland Muzquiz. 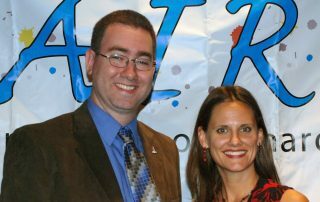 This AIR Time podcast was recorded on September 21, 2011 and features soprano Jennifer Ciobanu. This AIR Time podcast was recorded on February 12, 2012 and features Turtle Creek Chorale Executive Director David Fisher.